“Bad news is good news for gold”, as the saying goes, and Wednesday was no exception. New numbers from the Commerce Department showed disappointing April retail sales, boosting expectations that the Fed will wait to raise interest rates. In response, COMEX gold jumped by $25.80 (2.2%) to close at a five-week high of $1,218.20/oz. Silver also had an impressive gain of 4.2% to finish at $17.22/oz. Meanwhile, U.S. stocks fell flat and the dollar had its worst day in a week. The retail sales data showed Americans remained frugal with their spending in April despite lower gas prices, continuing a trend that has been intensifying since August of last year. Total retail sales were flat with just a 0.1% gain, while sales minus automobiles and gasoline rose 0.2% against an expected 0.4%. More was spent at restaurants and online, but less on automobiles, home furnishings, electronics, and fuel. Retail sales over the past 12 months have fallen to a rate of 0.9%, the smallest 12-month gain since the end of the Great Recession in October 2009 – a fact that should alarm anyone. Economic uncertainty and the possibility of a major stock market correction may be out of your control, but what you can control is how you protect your wealth. It may be the right time to take some of your stock profits off the table and move a portion of your wealth into gold. 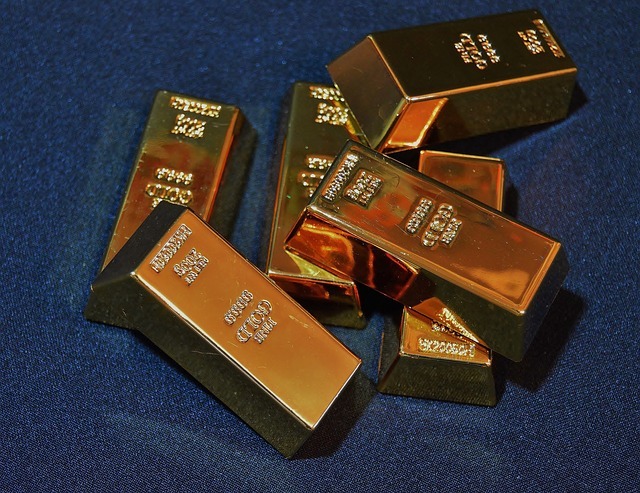 Physical gold can store your wealth and hedge your portfolio against a major correction. Call American Bullion today at 1-800-326-9598 or request a Free Gold Guide to find out how easy it is to own gold.